Everyone cannot wear every gemstone. Topaz is worn in gold to improve Jupiter. 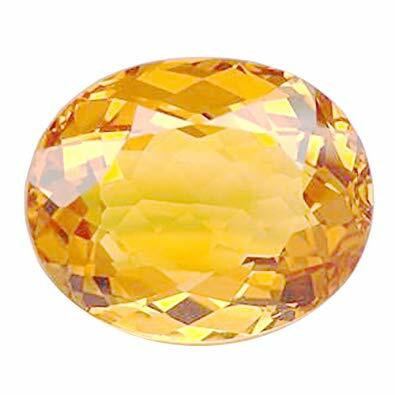 Topaz cannot be wear in every weak problem of Jupiter. Sometime wearing topaz, without knowing the symptom create problem. Wearing topaz in speech problem affects it. This create pride and speech problem. Topaz slows down the body and mind. You can wear citrine or pilla baruch as the substitute of topaz. You can also wear gold ring on Thursday as the substitute of topaz. You can also cover yellow thread through your idol as the substitute of topaz. If Jupiter is not good then topaz increase fat in the body. The topaz weakens the liver. The bad effect of topaz can increase acidity. The bad effect of topaz can reduce hunger. The bad effect of topaz can make voice heavy. The bad effect of topaz can create nasal catarrh. Chant “Om Brim Brihaspatye Namah” or “Om Gram Grim Graum Sah Gurave Namah” on Thursday to improve Jupiter. Serve cow, idol and temple on Thursday. Serve veterans to improve Jupiter. Wear siddh turmeric of pitru dosha yagna in yellow color thread. This will avoid problems, which are occurring due to Jupiter. The sources of vitamin C such as apple, orange can avoid Jupiter problem. Do not wear gemstone without consulting good astrologer. Keep topaz in refrigerator for 1-2 days. If its color becomes dull then topaz can be fake. Put topaz in raw milk for overnight. If its smoothness or color becomes dull then it can be fake. Do not wear topaz, without checking horoscope, for marriage and marital life problem. Which Relation is Most Important For You? Will our Dream Come True? What Our Dream Indicates?